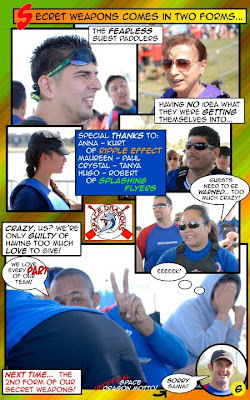 Space Dragons Dragon Boat Racing Team: SD in TEMPE: Starting it off Right! SD in TEMPE: Starting it off Right! "LET'S GO! TIME TO MARSHAL!" shouted Marina, "come on blue boat, line up!" That's how it starts. The team leader gathers her crew like a mother hen and her chicks. Time to get our head into the game, focus in and paddle up. This time, we had the privilege of paddling together in Tempe, Arizona, a venue the Space Dragons have visited numerous times and has been pretty good to our team. How did we do? Read on and find out! Saturday was a sunny but chilly morning. Pulling ourselves out of bed, with a call time of 6:30am, we all trudged down to the lake area and searched for our tent to set up our stuff. After numerous warnings that we are not being hosted and there will be no food, it was refreshing and surprising to arrive in the tent to find a huge spread of food laid out over three long tables. The team really came together, it seemed like everyone brought enough food to feed a few people; together, we had more than enough food for the entire weekend. 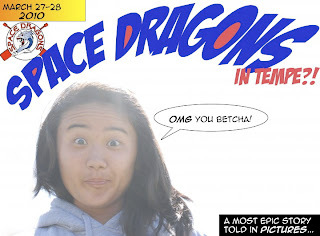 Another reason to love the Space Dragons. Everything was looking good so far. 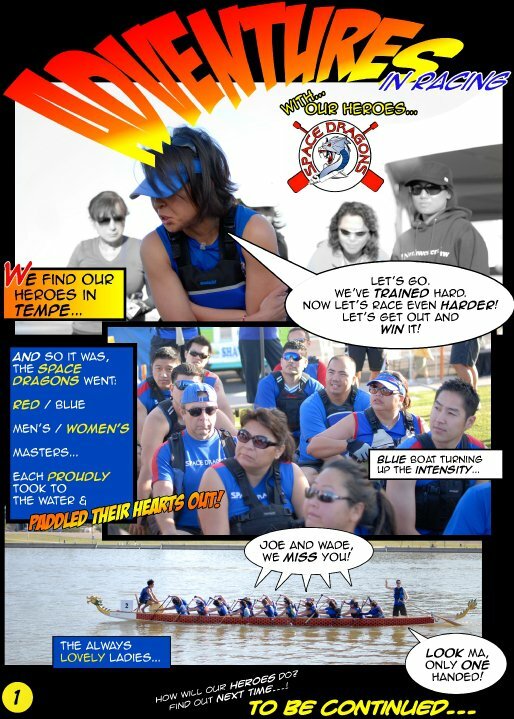 Our first race would be an early 8:10am race for our intrepid Blue Team. In all, each of our teams would race two times on Saturday (except Masters, who only raced on Sunday). Saturday was quite successful, and results were rather suprising. But more on that later. The team would end up spending a lot of time at the marshalling area on both days, and relatively little time back at our tents. It allowed for a lot of intra-team mingling (read: goofing around) and also gave us a great vantage point to view the races. So onto why we were in Tempe. After a number of heats where our various boats did pretty well, the divisional placement and seeding for Sunday's semi-final races were set. Red boat did well and placed into Mixed B Division. And so did our Blue boat! 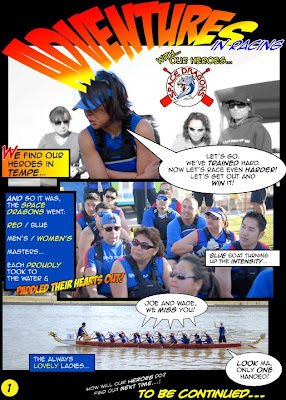 In fact, Sunday would see the Red boat race against the Blue boat head-to-head in the semi-finals. Unfortunately, only one would be able to move onto the Finals. While Blue boat put in a very good race at the Semi-Finals, Red would move onto the Finals. Blue was undoubtedly strong, but the team also acknowledged that there is definitely room for improvement (isn't there always?). No doubt about it, everyone was pretty impressed by the Blue boat (and the large number of newbies on that boat). Red boat would wrap up their day with a 2nd place finish in the Finals with a time of 2:07.50. 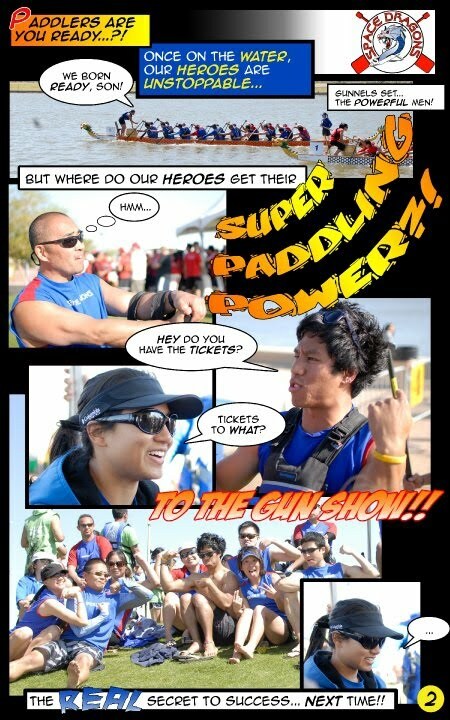 Our Women's team paddled hard but were unable to see the results they had hoped for. Though there was some disappointment, it was a clear learning experience. The Women may not be bringing home any hardware, but it clearly was not due to a lack of heart. In the post-race debrief, Em asked the ladies, "how badly do we want hardware? How hard are we willing to train?! 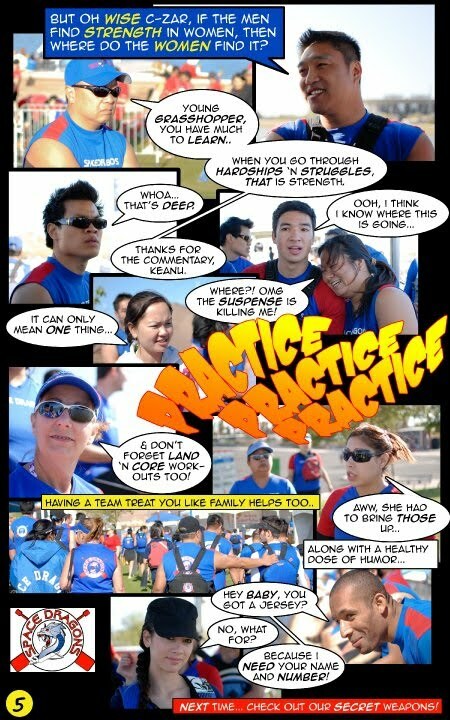 Are we ready to bring the pain during practice to improve our race set?!" The answer - a resounding yes! 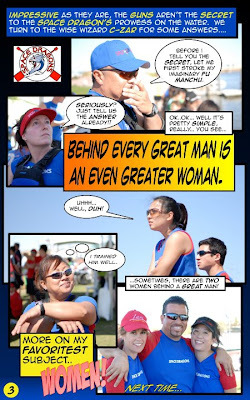 The Men's boat had a bit more luck, making it to the Finals in the Open division. 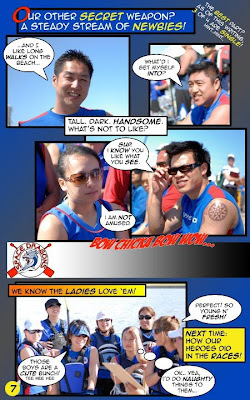 A few newbies had the good fortune of paddling with the Men's boat, and commented, "Dude, the men's boat is so intense!" Damn right, sucka! Men's boat came home with a hard-earned bronze after paddling a 2:01.42. Master's saw some stiff competition as well, finishing just outside of the times required to medal. Red boat Silver in Comp B., SD Men Bronze in Open. Tempe proved that there is a lot of potential and promise in this season. But we still need to work and work HARD for it. 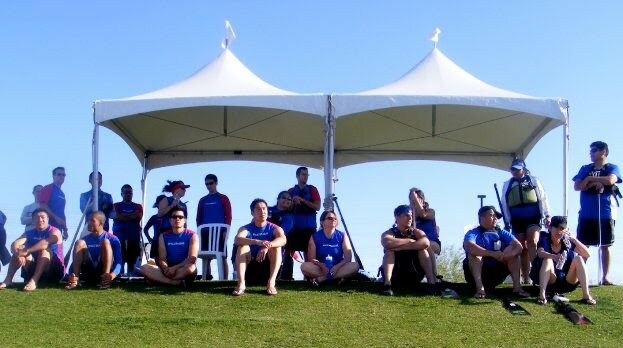 Hats off to all of the Tempe participants, it was great fun! Now it's time to build on the foundation we laid. No time to rest, Baby Long Beach is just around the corner! - Dr. Chen. 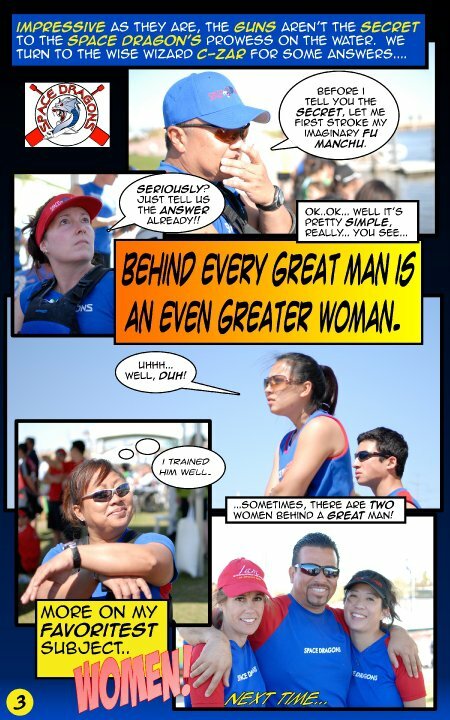 Without him, we probably wouldn't have such a vibrant dragon boating community. - Denise. 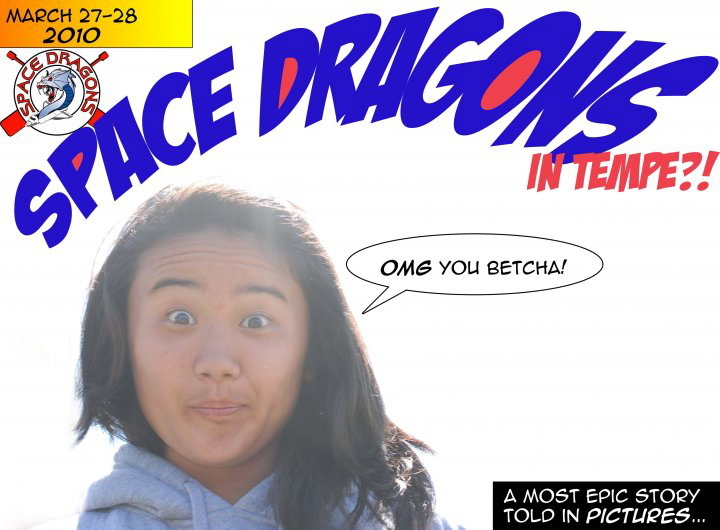 Her hard work and dedication helped make our Tempe trip possible. If you haven't already, please thank her for her tireless behind-the-scenes efforts to organize our successful tournament showing. 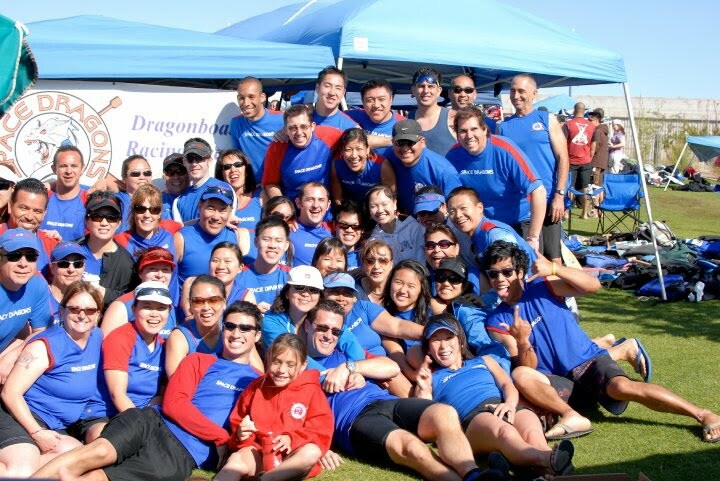 - Arizona Dragon Boat Association. The organizers of this event. They did a splendid job! - Callers and Steerspeople. Tran, Jackie, Emily, Pearl, Russ, Marty, Pearl, Devant, Brian, and Sammi. Without them, we'd just be 20 people floating around in the lake on a fancy raft of fiberglass and wood. 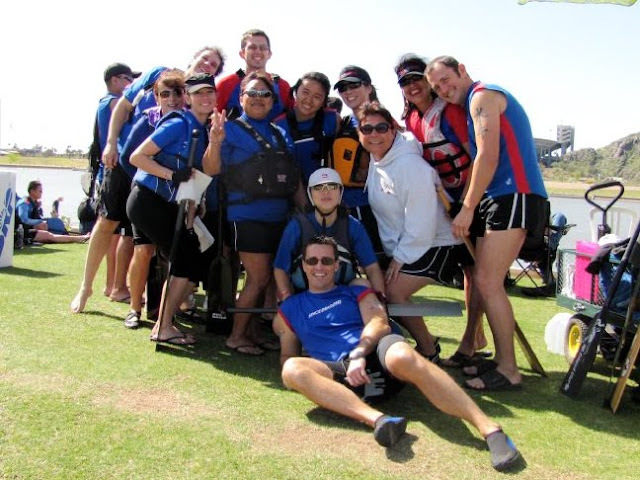 - Guest paddlers. Crystal, Maureen, Tanya, Paul, Robert, Hugo, Anna and Kurt. And their teams: Splashing Flyers and Ripple Effect. -Fellow teammates. A successful tournament requires the efforts of a great number of individuals. Bringers of equipment, tents, food, drinks... the list goes on. YOU MAKE THIS TEAM! - 1st time paddlers. Ming, Fang, Frank & Lil Tran. All of them had a blast, and I'm confident we'll be seeing more of them!